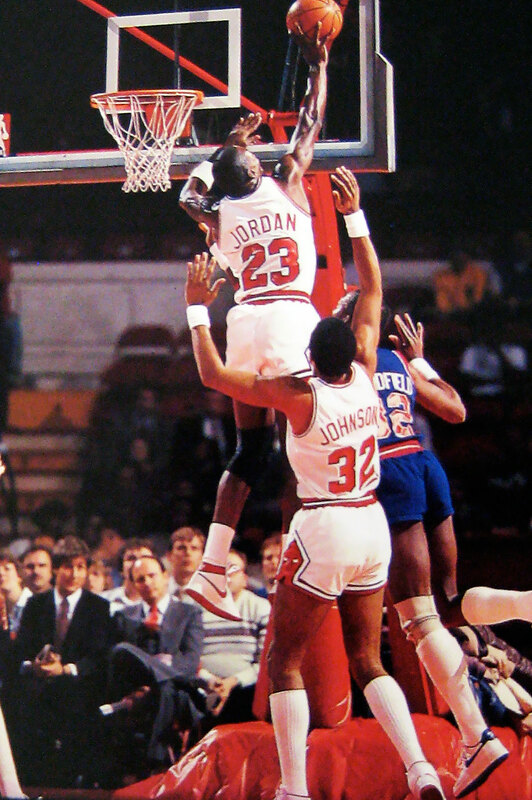 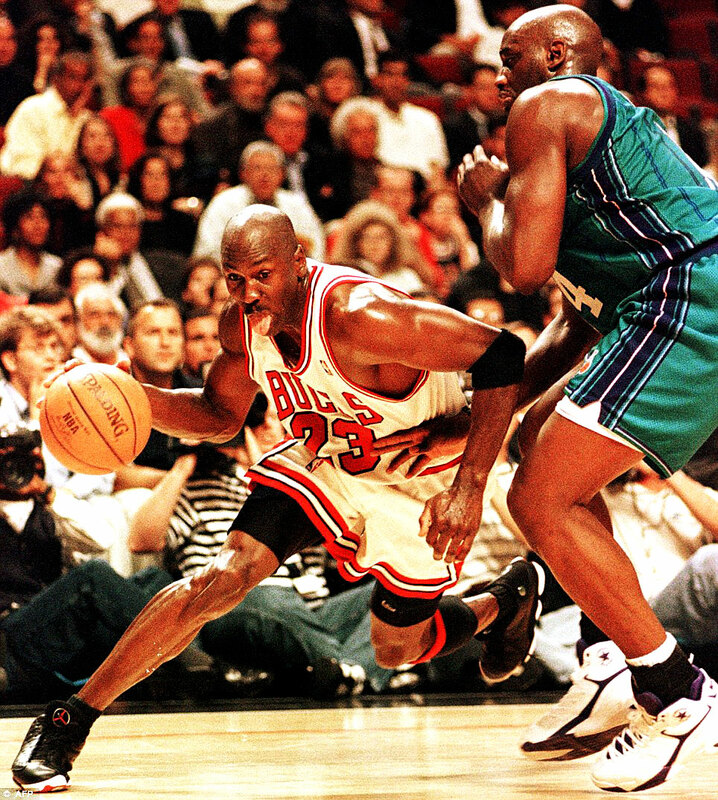 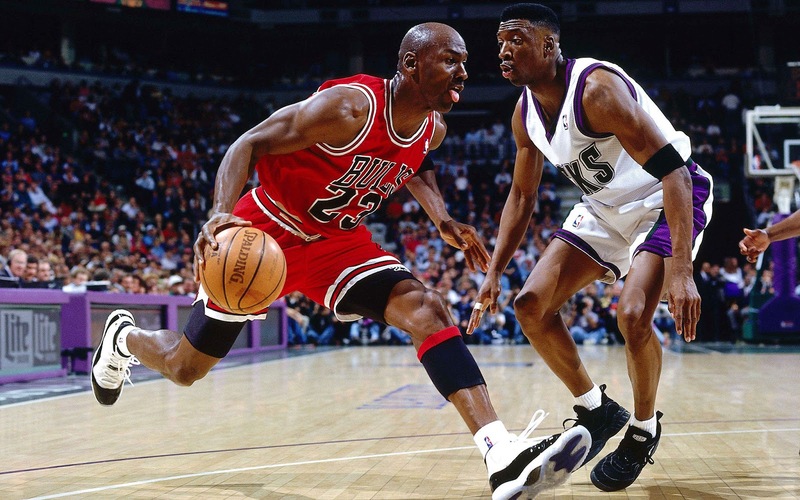 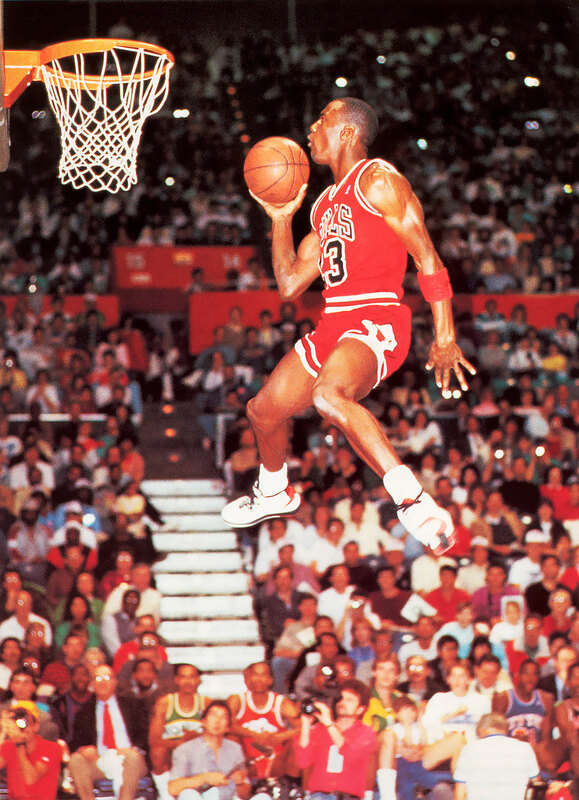 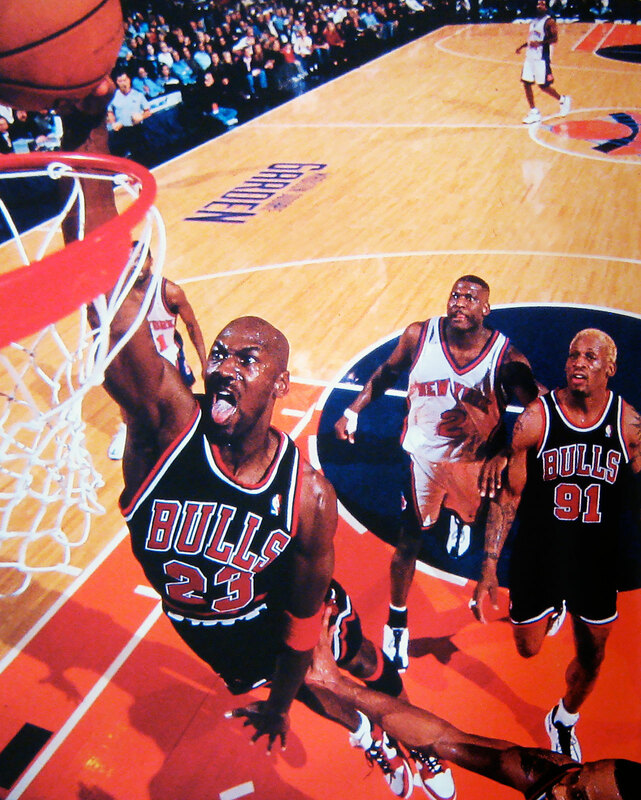 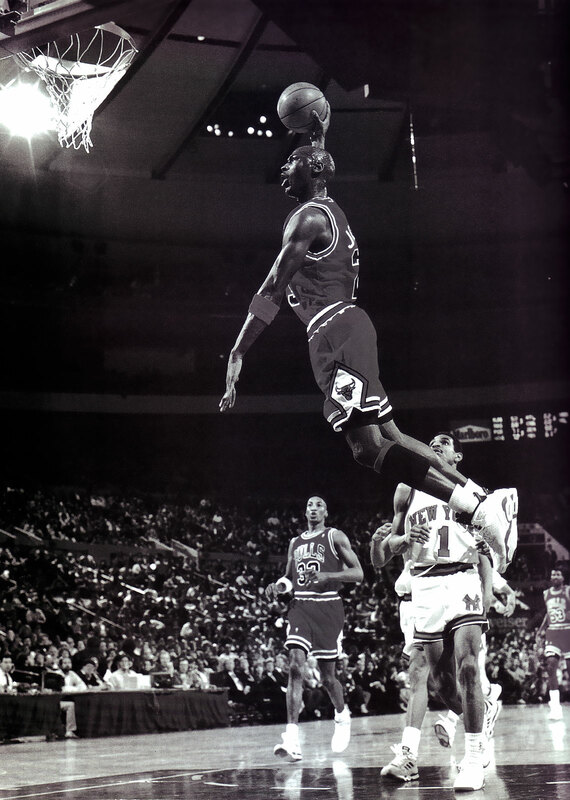 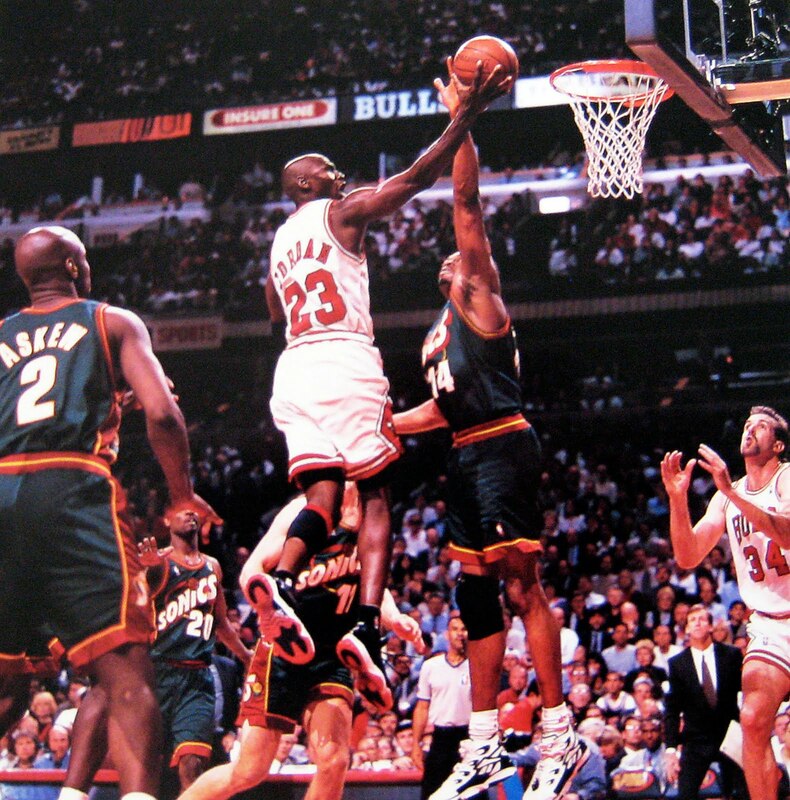 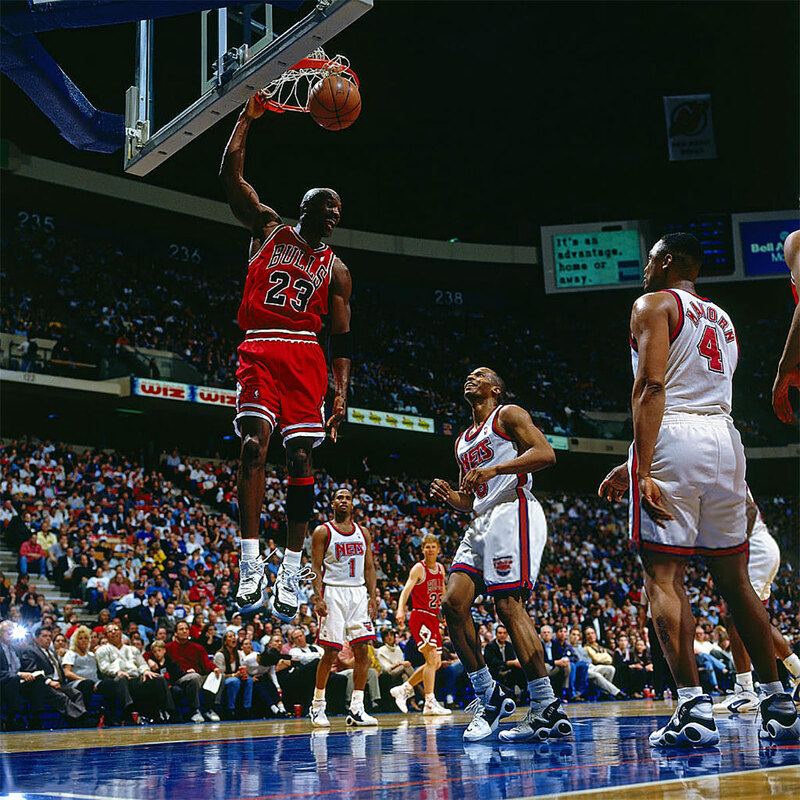 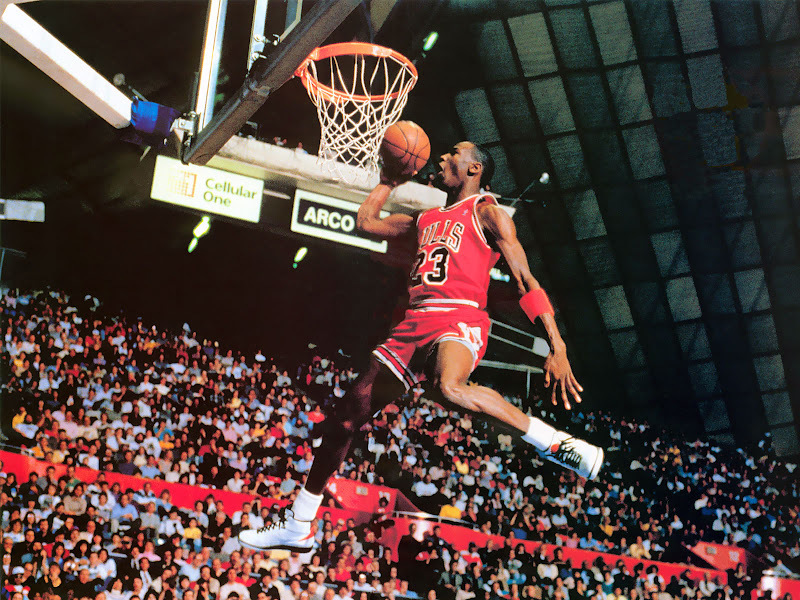 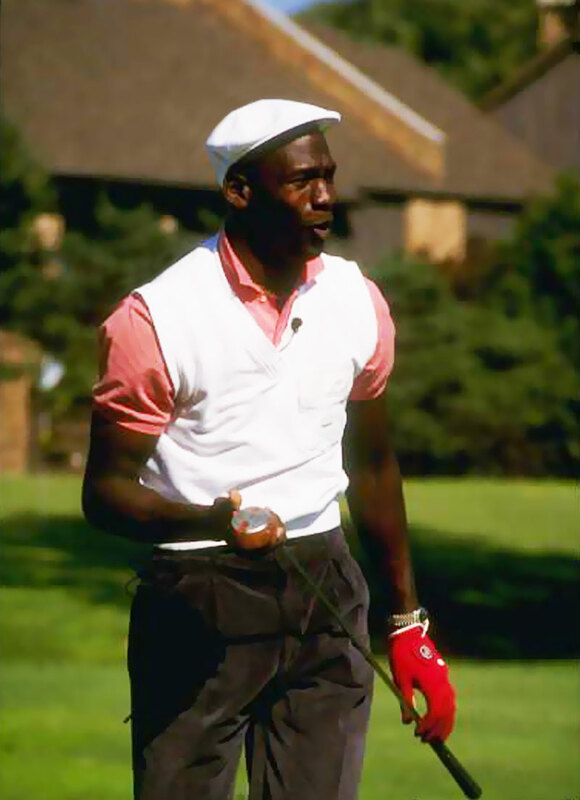 Michael Jordan is arguably the greatest basketball player in history, and perhaps the greatest athlete in history, as well. 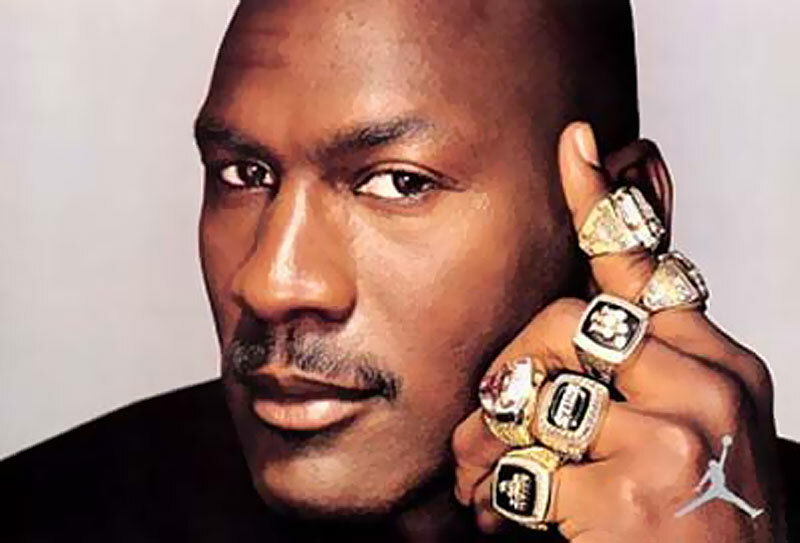 Michael Jordan has been wearing Rolex watches since he began is professional basketball career, and still wears them today. 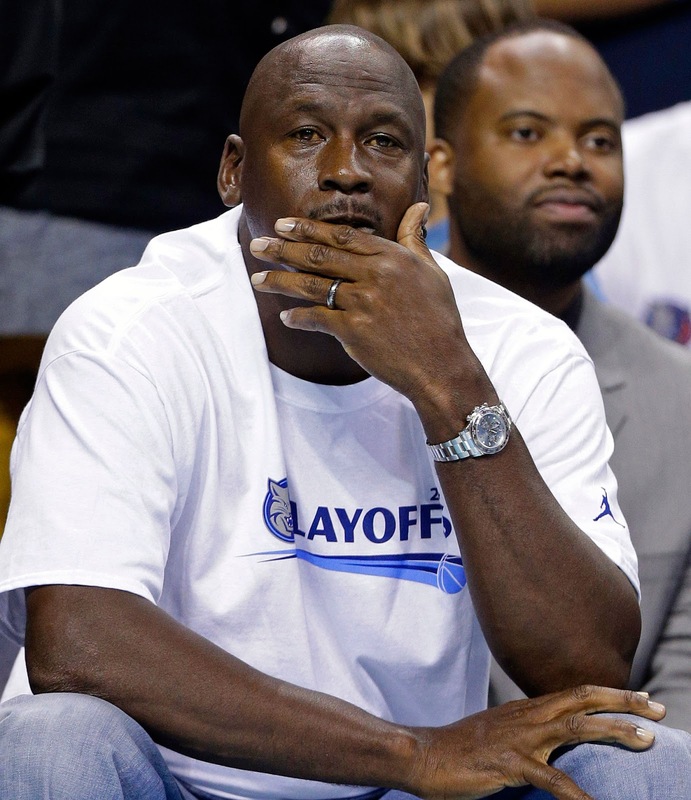 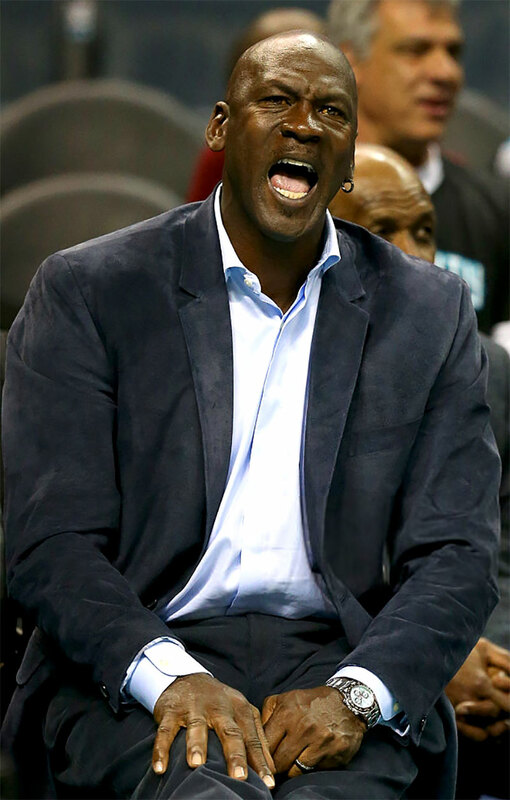 In this first photo we see Michael Jordan rockin' his 50th Anniversary Platinum Rolex Daytona, as he watches the NBA basketball team he owns—The Charlotte Hornets. 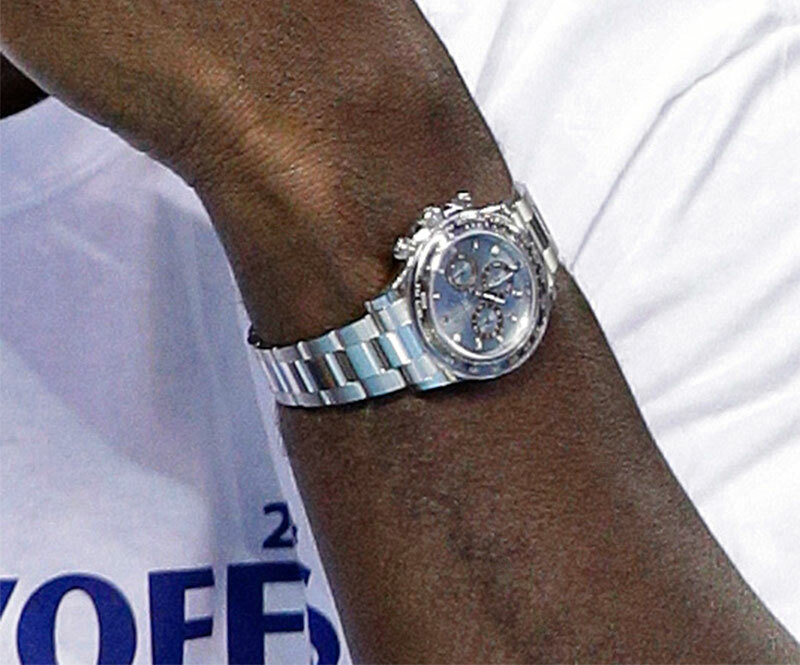 In the photos above, Michael Jordan is not wearing just any Rolex Daytona, but the all-new Platinum Rolex Daytona, which Rolex introduced to commemorate the 50th Anniversary of the Rolex Daytona model. 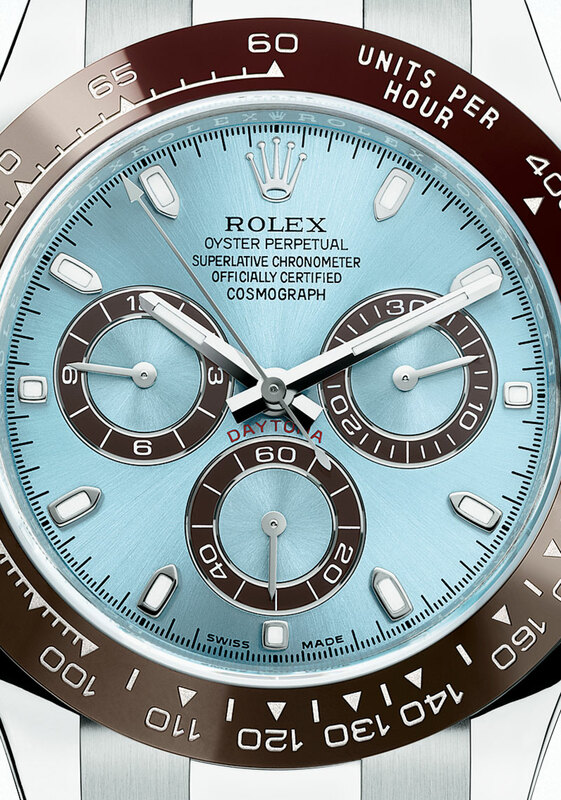 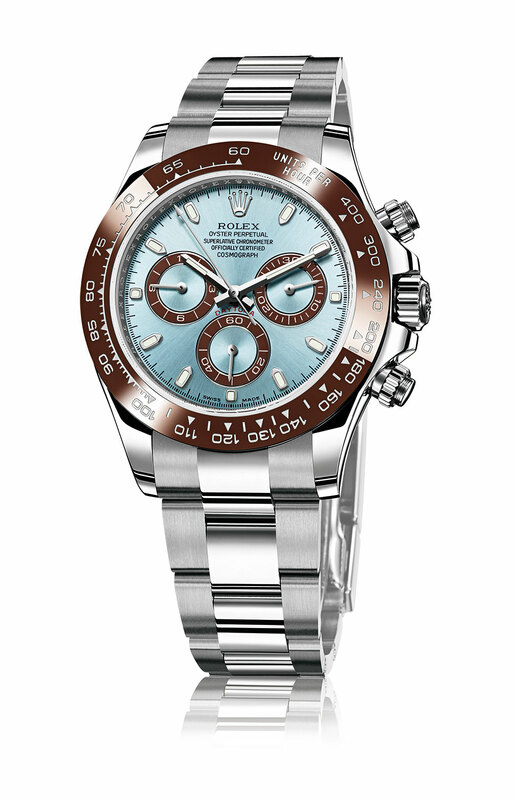 This model marks the first time in history Rolex has offered a Daytona model make out of Platinum. 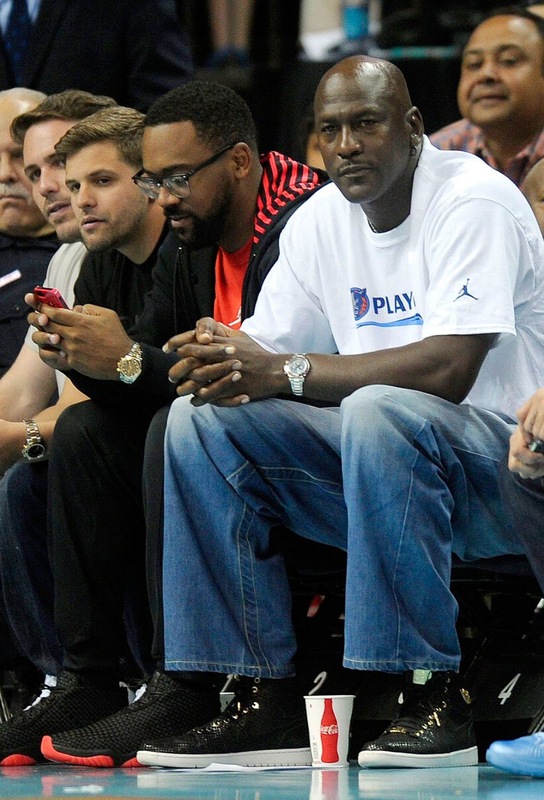 In the photo below we see Michael Jordan next to his son, who is also wearing a Rolex Daytona. 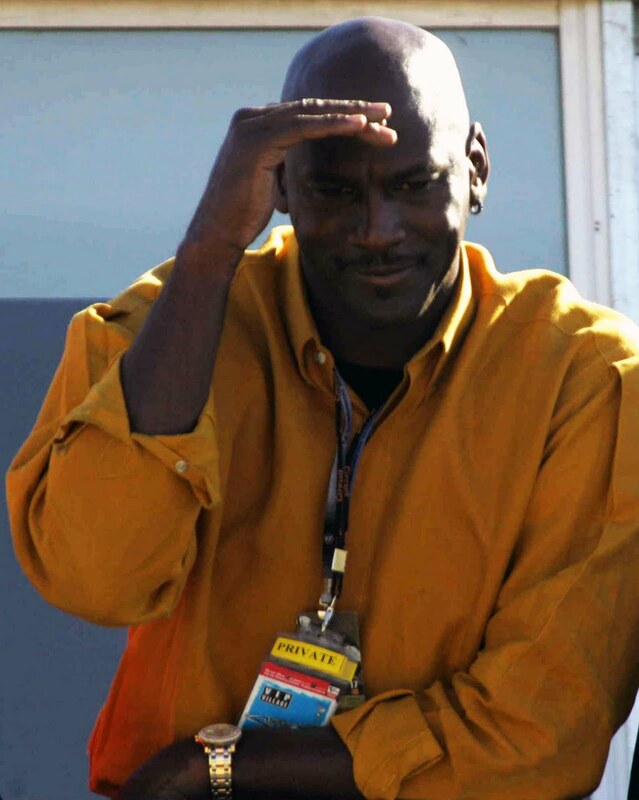 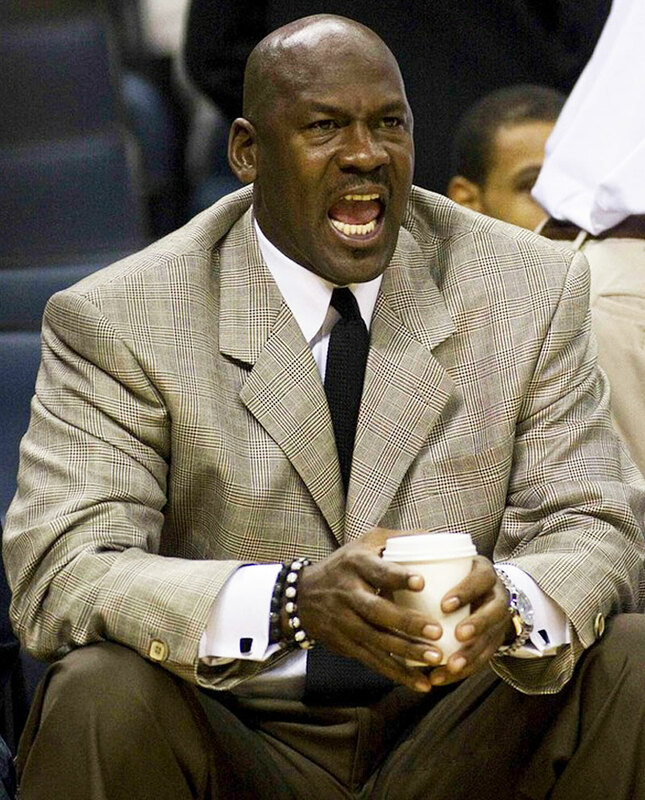 In another recent photo below, we see Micheal Jordan wearing a yellow gold Rolex GMT-Master. 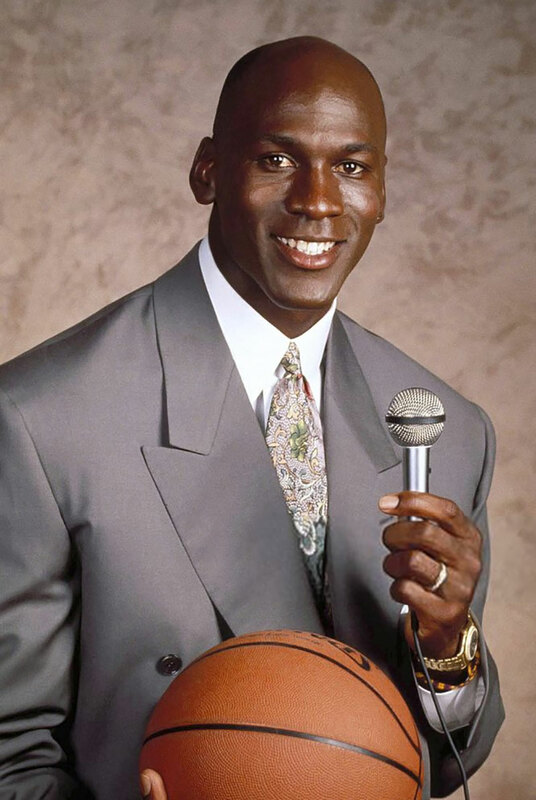 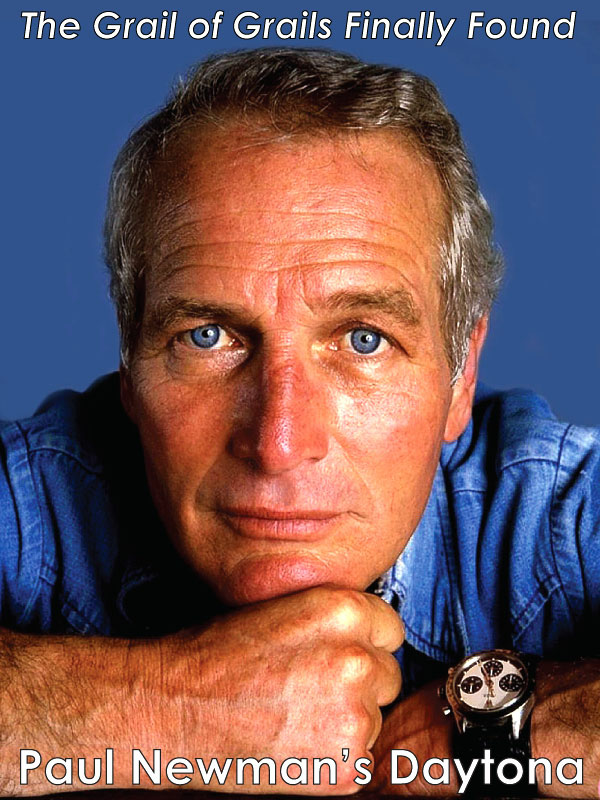 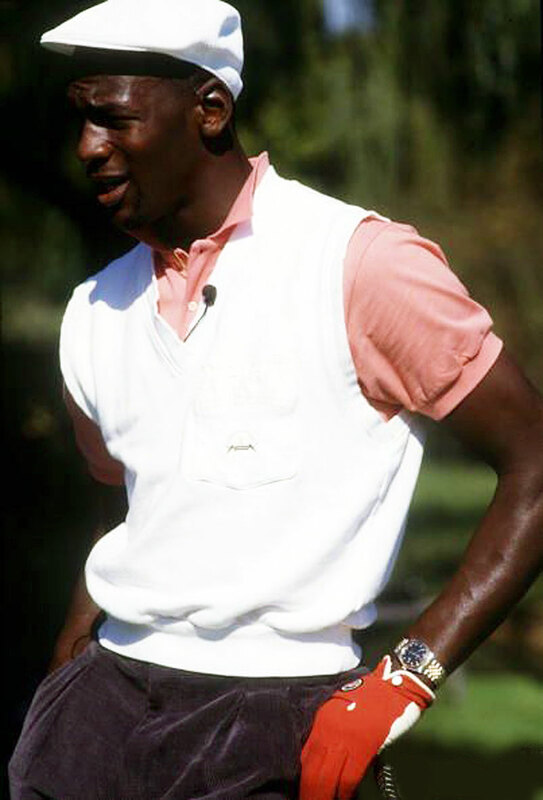 Michael Jordan is pictured below in a recent photograph, sporting his Rolex MasterPiece watch. 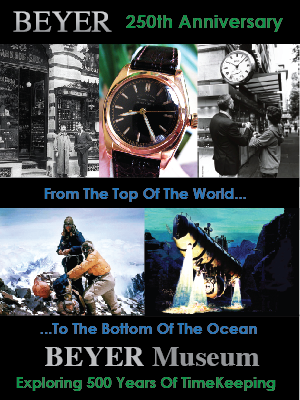 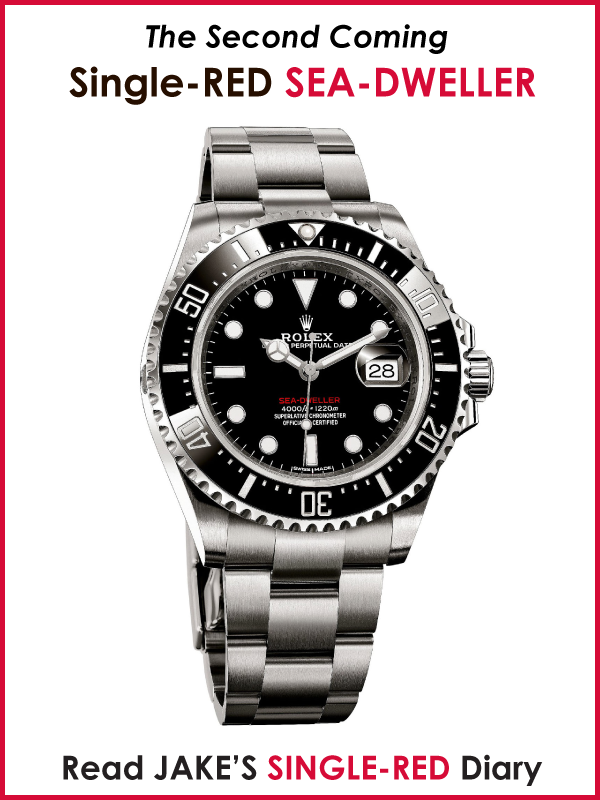 Men's Rolex MasterPiece watches are rare, and they are basically Rolex Day-Dates with a special bracelet. 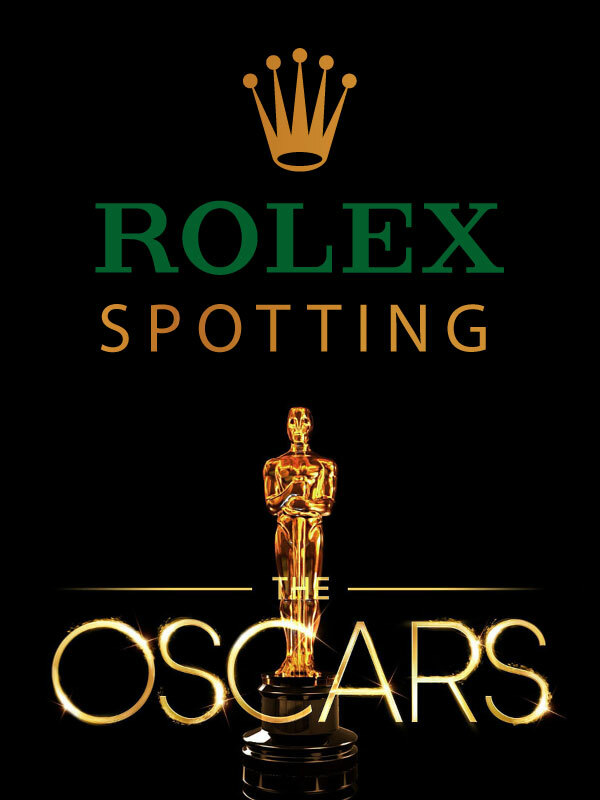 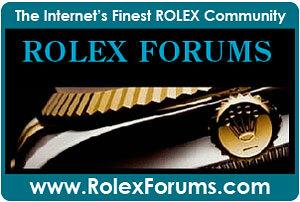 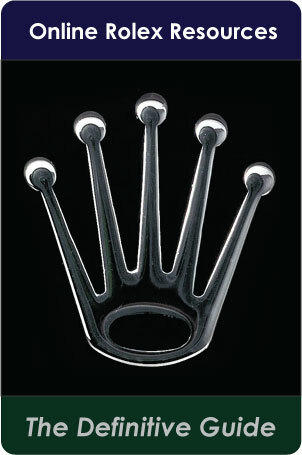 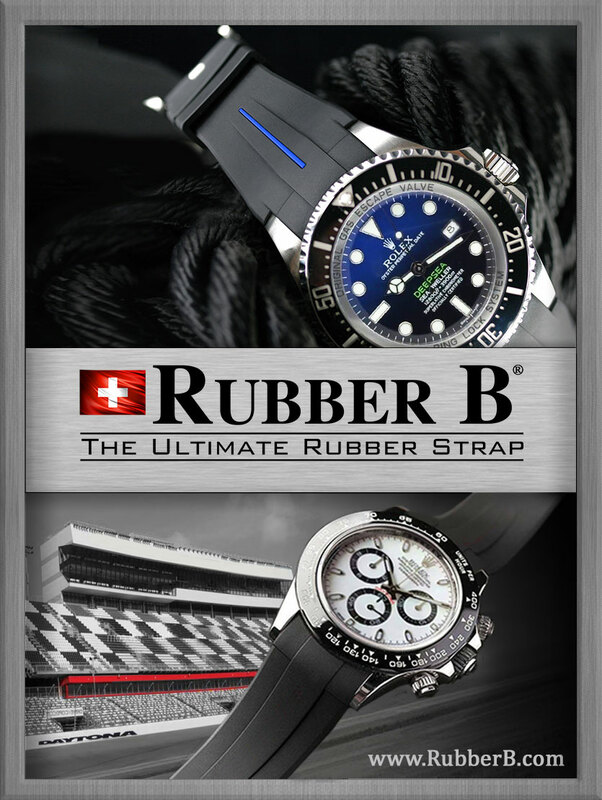 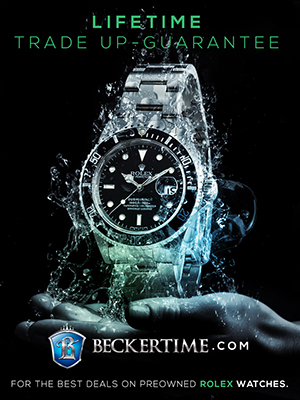 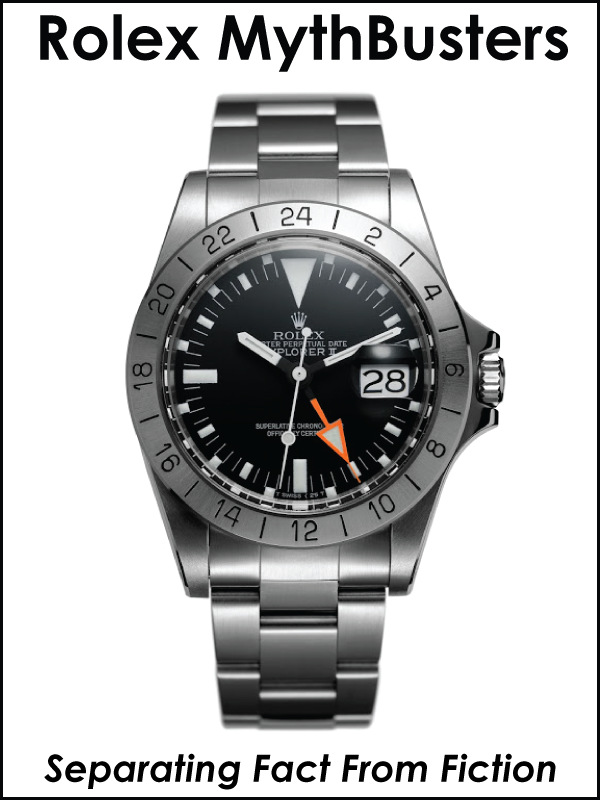 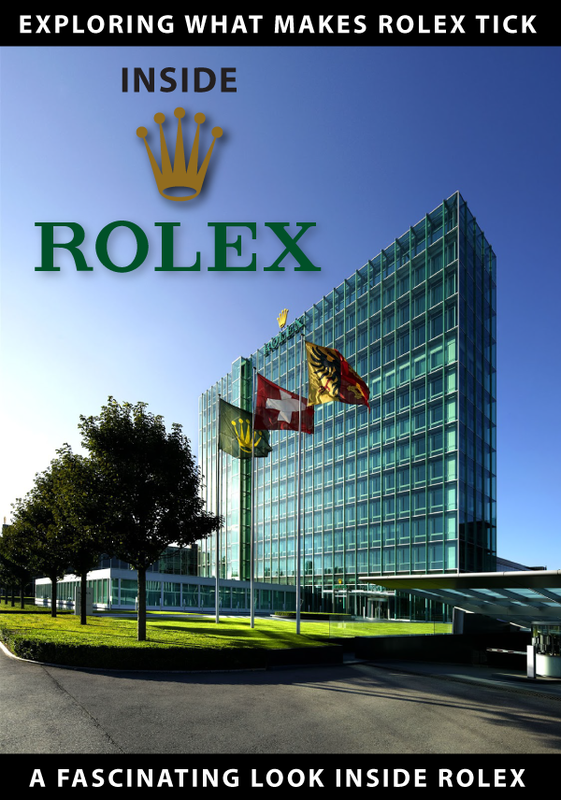 Rolex MasterPiece watches have been particularly popular with NBA players. 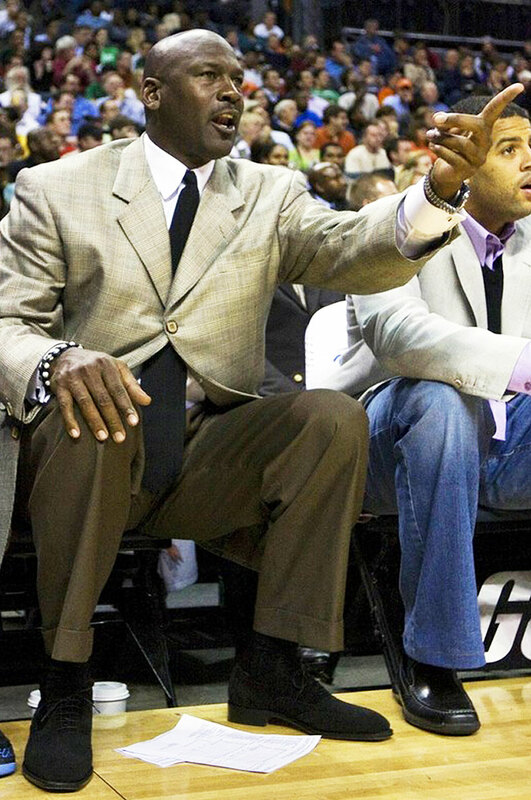 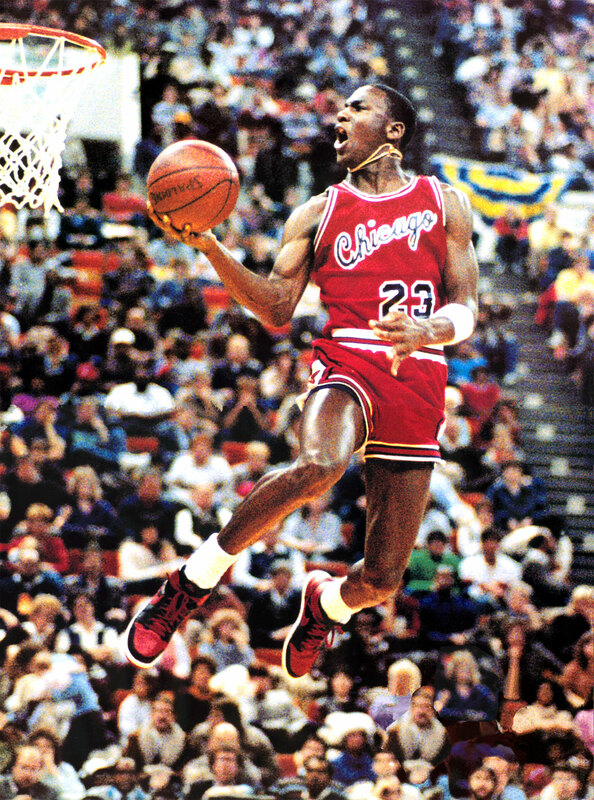 In the photo below we see Michael Jordan wearing a Platinum Rolex Day-Date. 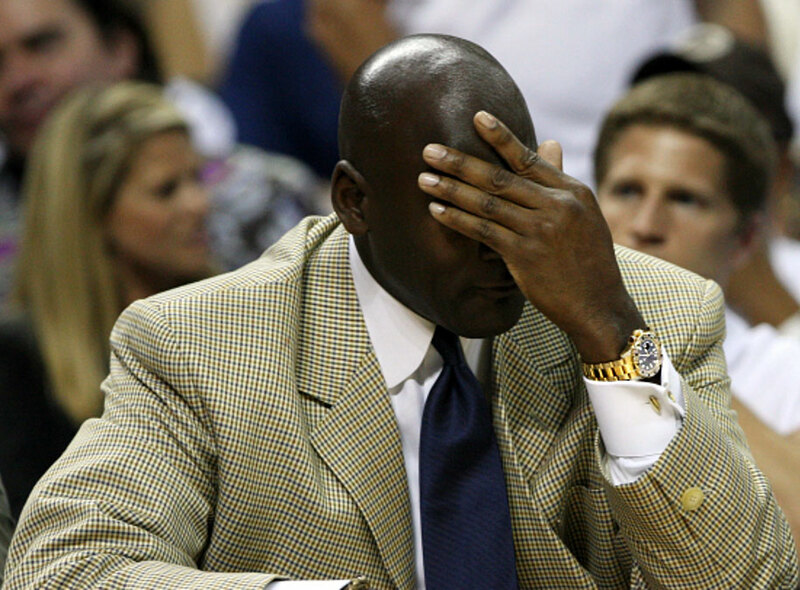 In the photo below we see Michael Jordan in 2007 wearing a yellow gold Rolex Masterpiece. 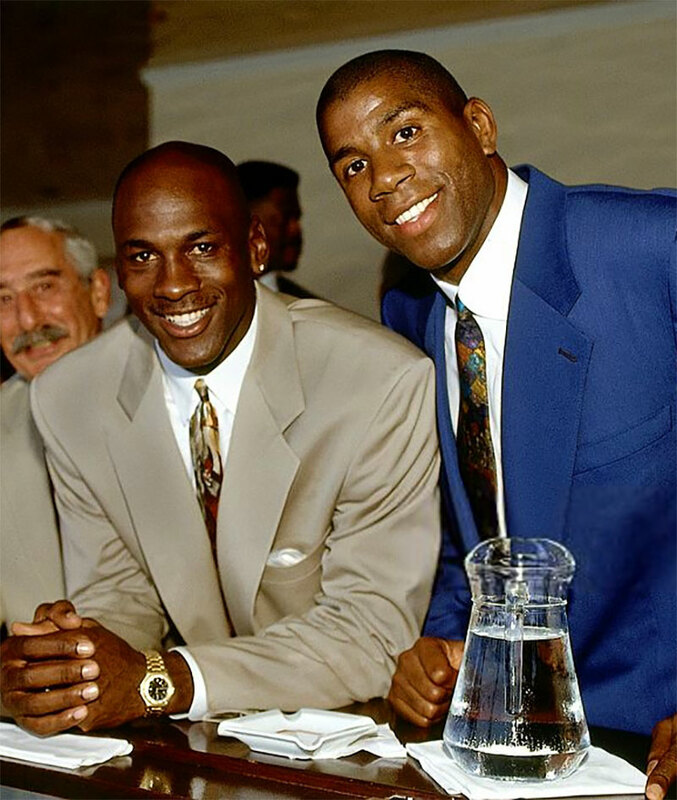 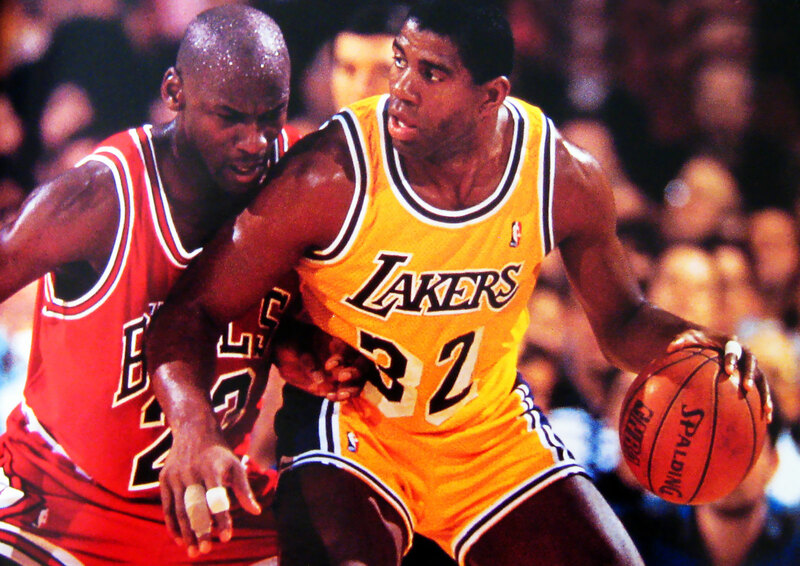 The photos below show Michael Jordan with Magic Johnson back in 1991, and notice Michael Jordan is wearing a yellow gold Rolex Day-Date. 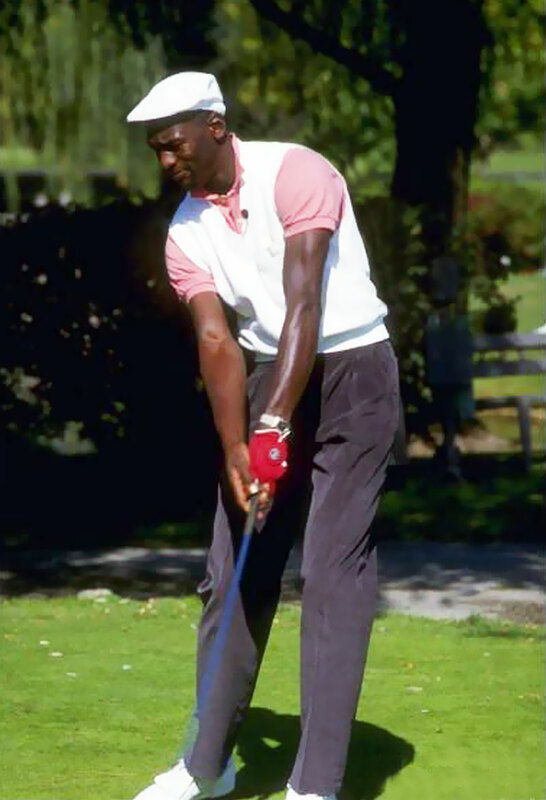 The photos (below) of Michael Jordan playing golf were taken back in the eighties and he is wearing his two-tone Rolex Datejust.